The Grossarl Valley is none other than the place to recuperate from a hard season of days and days of work. Here with nature, snow, skiing fun, you can feel the cosiness of being at home with such an unspoilt and beautiful landscape. 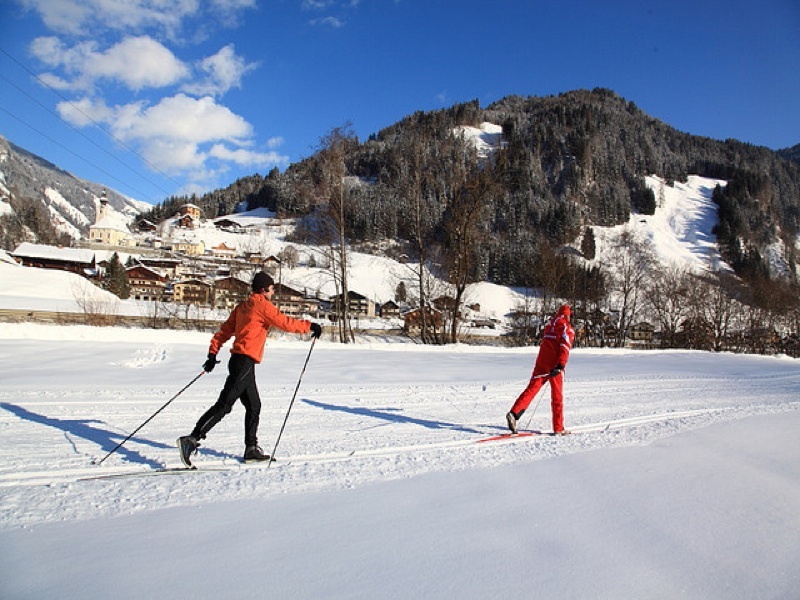 Spending your winter time here is the best as it offers all the sport of alpine skiing. With your family, even with young children who can attend their ski kindergarten for kids as young as three and a half years old. There is even a Kunterbunt Children’s Club for small babies of as young as six months. It is a great place if you have older children too. Sparse meadows and modest farmyards are found here in Grossarltal. Feel high at 1.03 meters above the sea-level. 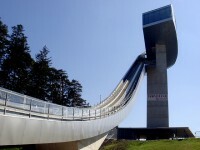 You will find that it is a pleasant drive to get to the St. Johann im Pongau despite the steep slope. Passing a small chapel or even stopping to get a good view of the Liechtenstein gorge. 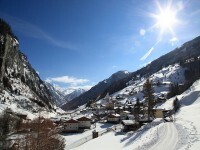 Continue for another 8 km in the valley til you arrive at the village of Huttschlag. You will see a modest church tower as this village has only 916 people inhabiting here and also bulky workshops. Rocks are never this green and in the next distance is the meadow pastures with freight cable cars going upwards. Reaching Talwirt, you will be amazed by the rushing waterfalls over the valley flanks. Taking the old pilgrimage route, you can get to the Maria Luschari, Arlscharte, then Schodertal and finally Carinthian Maltatal. Watch the Hohe and Niedere Tauern mountain ranges. With one of the longest linear distance between Salzach and Arlscharte, be greeted by the impressive rock walls on the east side of the valley. The highest elevation is 2.886 m at Keeskogel. You can get around locally by the regional buses such as ÖBB Postbus Linie 540 that routes St. Johann im Pongau – Großarl – Hüttschlag – Stockham. Alternatively there are taxi services such as Aigner Taxi600 and Taxi Raab. 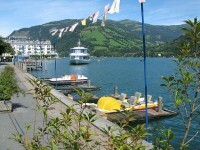 Be sure to check out the two villages, the first Hüttschlag and second Karteis. The two main mountain ranges are: Radstädter Tauern (Niedere Tauern) and Ankogelgruppe (Hohe Tauern). There are also some important peaks to explore, such as: Gamskarkogel (2.467 m) Großes Mureck (Schöderhorn) (2.475 m) Hundegg (2.079 m) Keeskogel (2.886 m) Kreuzeck (2.204 m) Spielkogel (2.144 m) Draugstein (2.359 m) Glaserer (2.434 m) Heidentempel (2.314 m) Karkogel (2.087 m) Klingspitz (2.433 m) Mandlkogel (2.439 m) and Weinschnabel (2.754 m).